If you are arrested for driving under the influence in the Seattle area, it could lead to a number of very negative personal consequences. If you are convicted, you will have a criminal record. 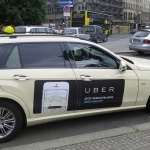 You might lose your driver’s license. Some people might lose their jobs. Auto insurance rates go up for everyone convicted of DUI. You might even spend time in jail. A DUI lawyer in Seattle can help, but you must be aware of the consequences. The penalties for a DUI conviction in the state of Washington can include a driver’s license revocation or suspension, a sizable fine, a lengthy probation, court-ordered alcohol treatment, and – if the conviction is for felony DUI – time in a state prison. What you’re reading here will be a brief, general overview of what you can expect at a DUI arraignment in the state of Washington. 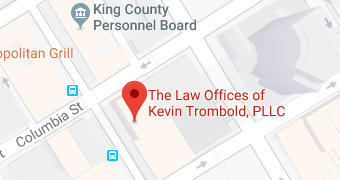 However, the details of every case are different, so if you are arrested and charged with driving under the influence anywhere in the Seattle area, you are going to need the advice and services of an experienced Seattle DUI lawyer. After an arrest for driving under the influence, you will be charged, booked, and probably asked to provide a breath sample or a blood sample. Then – or soon thereafter – you will be given a date for – or taken to – your arraignment, where you will need to be accompanied by your DUI attorney. WHAT GOES ON DURING A DUI ARRAIGNMENT? And precisely what is an arraignment? In the criminal courts of this state, an arraignment is the first court hearing in which a defendant charged with a crime is formally informed of the charge and is asked to plead guilty, not guilty, or no contest. A judge will preside over the arraignment and read the charge, and a prosecutor will usually be on hand to represent the state. In the state of Washington, a defendant’s appearance is mandatory at a DUI arraignment. An arraignment is a hearing that is concerned exclusively with only two matters: having the defendant enter a plea and making certain that the defendant understands the charge. If you are the person who is charged with driving under the influence, your DUI attorney will advise you regarding your legal rights, and depending on the evidence and the details of the charge, your attorney will recommend that you enter a plea of guilty, not guilty, or no contest. A good DUI attorney will almost always recommend entering a plea of not guilty at a DUI arraignment, with very limited exceptions. The arraignment date will depend on the jurisdiction where the charge is filed. In King County, a DUI arraignment is usually scheduled within thirty days of the arrest. When you enter a not guilty plea at a DUI arraignment in the state of Washington, you may be released on your own recognizance, or the judge may set a bail amount based on whether you pose a risk of flight or a safety risk to the public. The judge will consider your ties to the community, any previous criminal convictions, and the details of your arrest and the charge against you. 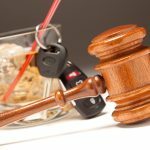 WHAT HAPPENS AFTER A DUI ARRAIGNMENT? 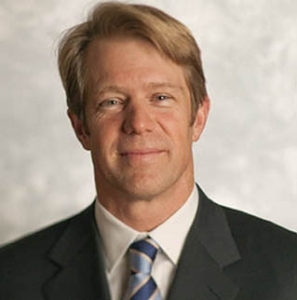 Upon being released after the arraignment, a DUI defendant may be ordered to install an ignition interlock device on his or her personal vehicle and may be prohibited from the use of any alcohol or other drugs, including marijuana, while the prosecution for driving under the influence is pending. And in most jurisdictions in this state, upon being released after the arraignment, a DUI defendant will also receive a copy of the police report regarding the arrest, and the defendant will be instructed when and where to appear for his or her next mandatory court appearance, called the pre-trial hearing. If your DUI case cannot be resolved at one or more pre-trial hearings, an evidentiary hearing date will be scheduled. At the evidentiary hearing, a judge will determine what evidence may or may not be admitted if the case goes to trial. If any question arises regarding the legality of your detainment and arrest, or if there’s any question about the way that law enforcement officers obtained and handled the evidence, the evidentiary hearing is an opportunity for a good DUI defense attorney to file a motion to suppress evidence, which can sometimes lead to a dismissal of the charge. Do not confuse the arraignment, pre-trial hearing, or evidentiary hearing with the entirely separate administrative procedure that automatically suspends a driver’s license after a DUI arrest – unless the driver requests an “administrative” hearing before the Washington State Department of Licensing within twenty days of the arrest. With only twenty days to act, anyone charged with DUI in this state will need to begin working with a DUI defense lawyer as early as possible after a DUI arrest. If the criminal DUI case cannot be resolved at a pretrial hearing or at an evidentiary hearing, a trial date will be set. 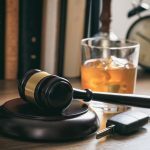 At a DUI trial, a good DUI lawyer will argue that there should not be a conviction because the state cannot prove the defendant’s guilt beyond a reasonable doubt. The prosecution will present evidence and testimony in its effort to establish the defendant’s guilt beyond a reasonable doubt. Witnesses may be examined and cross-examined by the attorneys for both sides. At the trial’s conclusion, a judge or jury will render a verdict. If the verdict is guilty, a defendant’s attorney may recommend appealing the verdict to a higher court. Even for a misdemeanor first-offense driving under the influence conviction, in the state of Washington, a defendant could go to jail for up to a year and be fined up to $5,000. Subsequent convictions for driving under the influence are penalized even more severely under Washington law. A defendant’s failure to appear at any scheduled court hearing will result in a bench warrant being issued for the defendant’s arrest. In the state of Washington, DUI arraignments, pre-trial hearings, evidentiary hearings, and trials should all be handled by an experienced Seattle DUI lawyer. If you are facing a driving under the influence charge, adhere to your attorney’s advice at each of these hearings. A good DUI defense attorney is dedicated to fighting for justice on behalf of defendants and seeking the best possible resolution of DUI charges for each and every client.